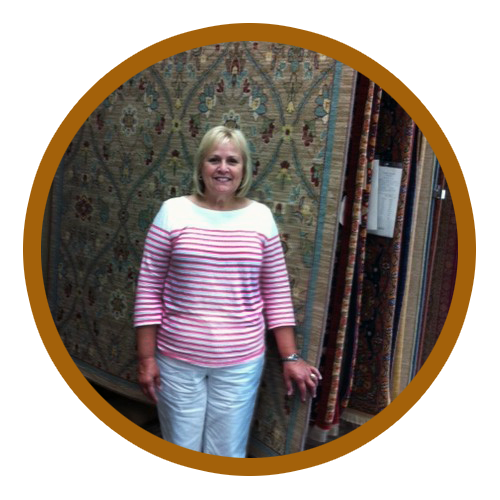 Our Indianapolis flooring store selected another lucky Rug-A-Month Giveaway recipient: Donna Williams from Tipton, Indiana. "I love my new rug from Kerman's Flooring! It is so versatile that I haven't decided where to use it. Thank you Kerman's!" After testing her free area rug in three different spots in her home, Donna emailed us to reveal the rug's final new home: her kitchen. Looks good, Donna! If you would like to be a winner too, sign up for our email newsletter (receive once-a-month tips, videos and exclusive sales) or LIKE us on Facebook. Be sure to type WIN on our wall with your phone number or email address to qualify. Once a new monthly winner is chosen, we will notify him/her by email or phone call. Congratulations again to Donna, and all our 39 past winners, from Kermans Flooring. If you're looking for hardwood for your home, consider Kermans. Our goal is to provide you with quality hardwood products that beautify your home, meet your specific performance and budget needs, are easy to care for and stand the test of time. Check out our buyer's guide for more information. Also you can check out Kermans.com or visit our showroom to check out our flooring designs.